Harness the power of messaging to create a culture of acknowledgment, respect, and celebration. Written specially for leaders, this title is divided into three parts, helping readers to maximize their role as chief communicators with students, teachers, and parents and community. 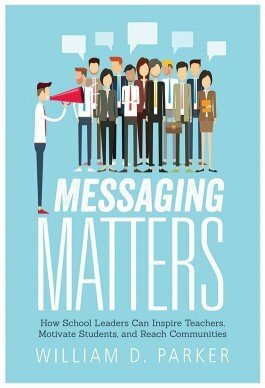 Each chapter includes suggestions for using digital tools to enhance messaging and ends with reflection questions and practical next steps. Comprehend the power of messaging in school. Gain tips for how to best use available technology tools, including online platforms, for messaging purposes. Inspect scenarios and real anecdotes that show messaging tactics in action in schools. Learn how to implement positive messaging with students from the start of the school year. Explore special considerations to make when communicating with challenging students or in difficult school climates.